Little Pattie is as energetic today as she was when she took a strong hold on the Australian music scene in the mid sixties. With a succession of hits, her musical talents are credited with many industry awards. She is a professional and a much loved Australian performer. 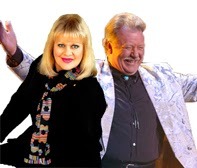 Lucky Starr is one of the founding members of the Australian Pop Music Industry. Lucky’s style ranges from Rock and Roll, to Country through to Jazz. Bookings and enquiries can be made through the link below.